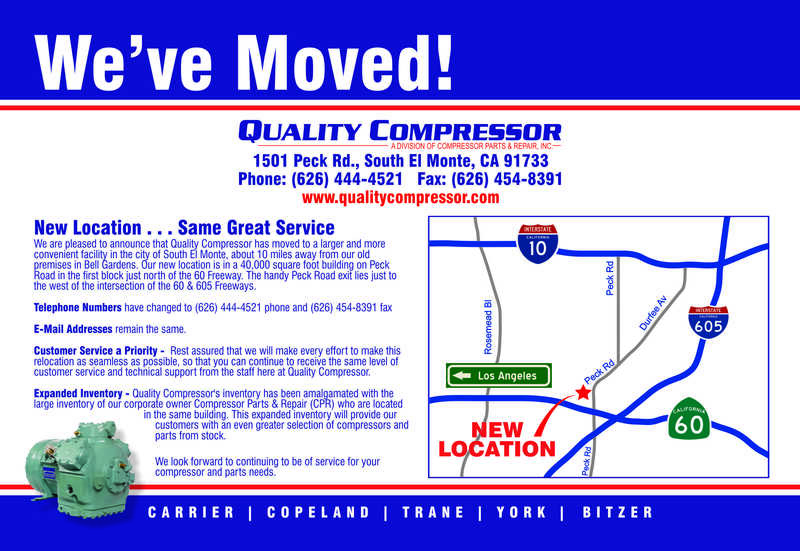 Quality Compressor has been providing remanufactured compressors and parts to the HVAC/R industry since 1984. We are a proud member of the International Compressor Re manufacturers' Association (ICRA) and go to great lengths in order to provide the highest quality compressor at a superior value. We offer knowledgeable and courteous customer service and technical support both before and well after the sale and look forward to servicing your compressor needs for years to come. Thank you for your interest in what we do. If you have any questions that this site doesn't answer, please feel free to contact us.